Manager Steve Riley was forced again to make chances following Saturday’s home win over Norton. 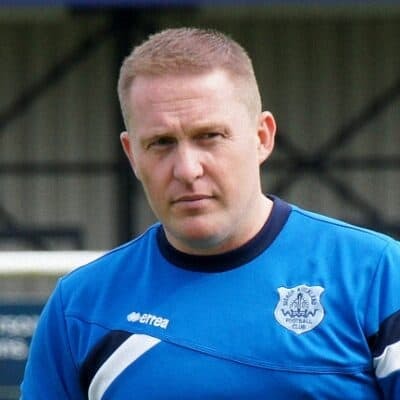 Facing second bottom Bedlington Steve introduced new signing Jake Cairns brought in to cover the absent Arjun Purewal and Fred Woodhouse was missing because illness. Bishops immediately showed their intention to take the game to Bedlington when in the first minute Sam Orritt crossed the ball for Andrew Johnson head the ball just over the bar. 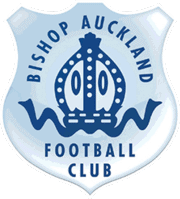 Bishops continued to put pressure on the Bedlington goal with Scott McCarthy and Adam Nicholls driving the ball forward going close on a number of occasions. On 16 minutes Stuart Thompson knocked the ball high towards the Bedlington goal and the bounce beat the Bedlington keeper and Andrew Johnson ran past the keeper to slip the ball into the empty net. Less than a minute later from the restart Scott McCarthy beat the Bedlington defence to pass to Andrew Johnson who turned with the ball and played a lovely pass to Jeff Smith whose powerful shot hit the back of the net from around 18 yards. Bishops continued to control the game and on the half hour mark Johnson, Hoganson and Griffiths all had shots saved by Bedlington keeper Staples. On 36 minutes Johnson got his second goal and Bishops’ third when he scored from a good cross from the impressive Adam Nicholls. Bedlington started the second half livelier and it took Bishops some time to settle back into the game and on 57 minutes Scott McCarthy had the ball in the net only for it to be ruled offside. However, on 66 minutes McCarthy beat two defenders to cross the ball and provide Andrew Johnson with his hat trick and his 17th League goal of the season.